One of those tracks we all love at FVR. Having spent the last 18 or 19 years visiting the track each year it was something we wanted to give some life. 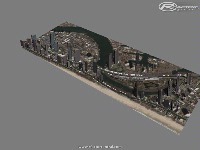 Okay we have the latest upgrade to Surfers Paradise WIP3 or rFC v0.9. We have tried desperately to get the AI as fast as possible but unfortunately you freaks will have to turn the AI up. If you have ever edited AI - you'd understand the trials and tribulations that we experience, especially Doug. We have changed several things as follows. The ripple strips we have removed the bumps. The esses we have changed the shapes slightly - closer to the real thing. The fences are similar but minor changes. The bump - the bump has been changed but its still there. The tyre bales, unfortunately we either make them solid or we do what we have done. They are a drive thru bale but inside the bale is a mound, you hit that mound sideways and your car may flip. That mound slightly protrudes the tyre bale on purpose. Hit the mound dead on and you may stop or do some damage. Hit the edge it may lift your car on two wheels, it may smack you into the wall. It will damage your car. Don't drive thru them and you'll survive. They will cause damage. Unfortunately there is no other way we can make them solid and moveable and create the realism. Don't drive thru them, don't drive thru them. Shortcut the track and you will get a penalty unless you slow down. The grip level of the track is standard 1.0 effect, nothing special there. We've added more trees, more 3D buildings and stands. We've still got mountains out in the ocean. But in theory you won't see them. Extract the track to your Locations folder, preferably deleting your old FVRGoldCoast folder. 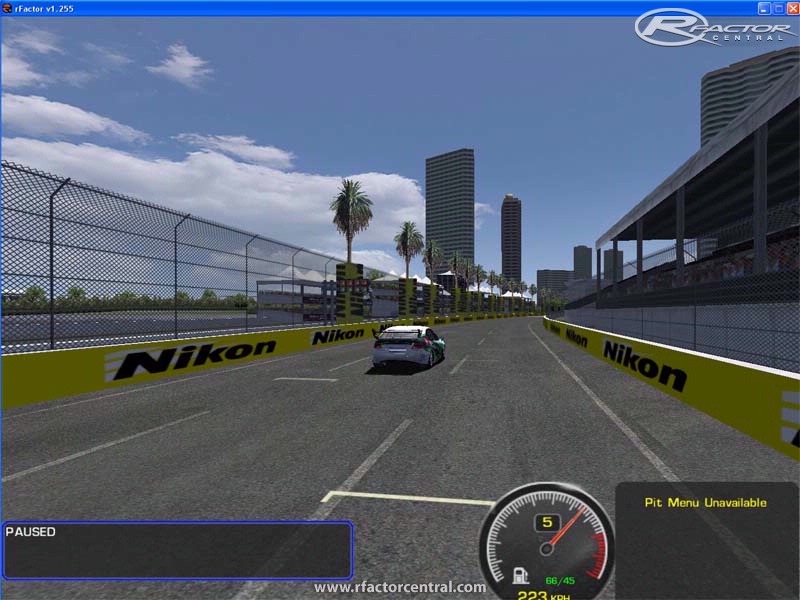 In your UserdatsyournameSettingsFVRGoldcoast folder, place your standard setup and call it FVRGoldCoast.svm this will make the AI cars use that setup and fuel levels. Now hopefully you have read all of this and now you agree to download the track - oh yeah blah blah blah don't rip it apart and post anywhere - big thanks to Ferret40 and dBens1 for their hard work and everyone that commented on the or donated to the last version. We appreciate it. There are currently no setups for Gold Coast Indy. Add a Setup. This track is simply amazing, no other way to describe it. 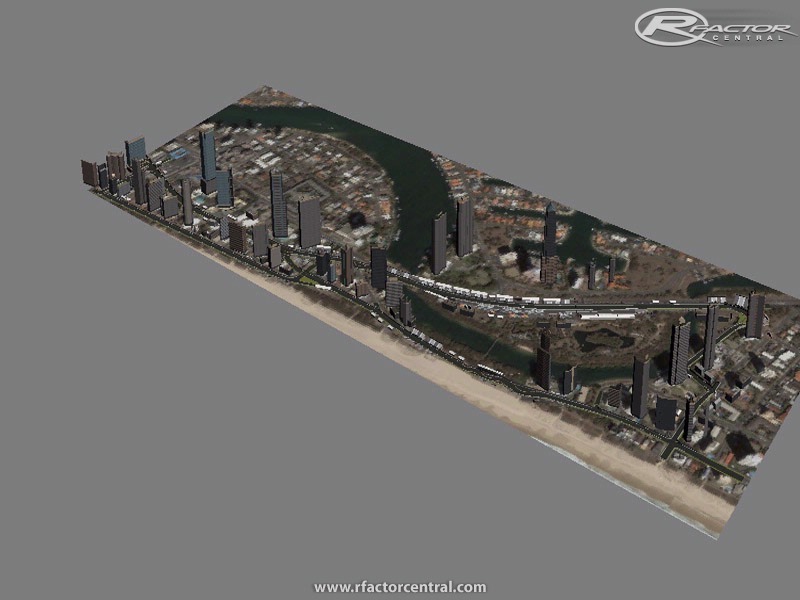 And while I don't like to talk down about other people's work, the difference between the FVR Surfer's Paradise, and the other version linked to in the previous post, is about as wide as you can imagine. FVR's version actually includes elevation changes, while the other version is extremely flat, minus a few bumps on entry to the 1st chicane. Also, the AI races realistically in the FVR version, and you get a great sensation of flying through the buildings. 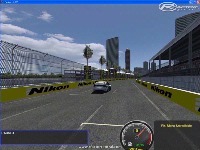 My only wish is that there was an update to this track that would replace the Nikon advertisements with the banners used in the ChampCar and IndyCar events. But honestly, that is a small price to pay for the extra accuracy of this great track. Thank you, FVR! You're right the links don't work. I guess this version is no longer available. Go to the bottom of your track list and look under V8 Supercars - we're intending to put all our tracks in this area in the future to neaten it up. But you can be forgiven for not finding it, I forgot once and did the same things 3 times until I realised. Sorry to do that to you. I can't believe my rFactor doesn't read this track! What should the track list as in the window, 'FVRGoldCoast', 'Surfers' or what? I don't see it anywhere! Did you do anything different? I un ziped using WinRAR and put it in Locations (like I've done 1,000 times) but I don't see this track being read. Please help. I'm using Windows XP. I don't understand. I'm usually good at trouble shooting but this has got me stumped. Please help me figure this out! I love this track!!! Cheers guys - glad you like it and stay tuned - it will be out for GTR2 and RACE ON/EVO very shortly as well. Nice work Flash and the rest of the gang! Guys, EVERYTHING you do is outstanding!! I have download all your circuits, and the FVRV8 and they're all a blast! Thank you for all your fantastic work ! Cheers from Argentina! Thanks alot guys, every Aussie track we can bring to this level of quality makes my rF experience better. Your efforts are much appreciated.